As it stands now, users cannot possibly know their data is being accessed because the government prohibits companies from disclosing that information. Early last year Microsoft dropped a lawsuit against the Department of Justice (DOJ) asserting its users had the right to know if the DOJ or government requests their data. Currently, tech companies are under gag orders and cannot disclose any information relating to a DOJ or government request for information. Microsoft believes this violates users fourth amendment rights and decided to take the government to court. The lawsuit has been supported by several other tech companies including Amazon, Apple, Twitter, and Google. Fast forward to today and the case is still being wrestled over as the Department of Justice seeks to have the case thrown out. Currently, the law does not require the government to notify users of any sort of data search and the government prohibits companies from disclosing that information because it may hinder their investigations. Microsoft believes this to be an abuse of power and they are trying to pave the way for the government and the DOJ to allow companies to notify users when access to their data is given. 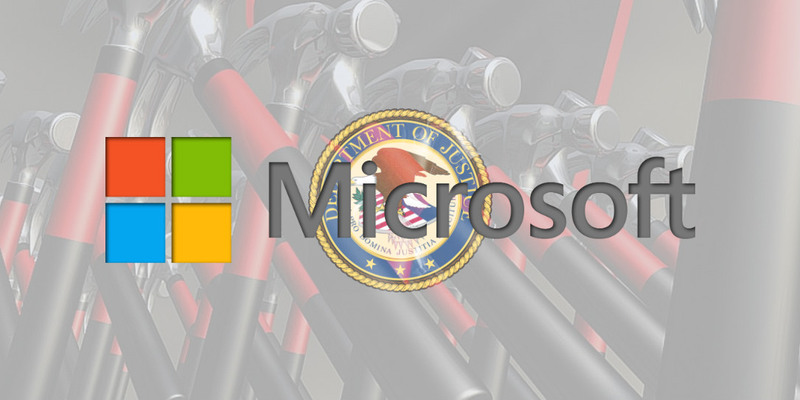 The Department of Justice claims Microsoft does not have the legal right to bring this lawsuit to the court since they are not the ones directly affected by the investigations. In other words, the affected users would have to be the ones to bring the lawsuit against the government but in order to do that, the users would have to know their data was being accessed. As it stands now, users cannot possibly know that because the government prohibits companies from disclosing that information. What do you think of this case? Let us know your thoughts and comments below or on Twitter, Facebook, and Google+.